Hong Kong Trams traverse the Northern part of Hong Kong Island on a East-West direction, they are cheap, clunky and slow, but a very unique experience and a sightseeing attraction on its own. 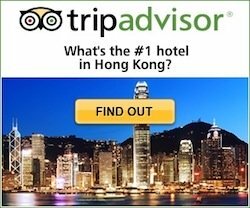 At only HK2.30 per ride (about US$ 0.30), another of Hong Kong bargain deals! But this is no ordinary transportation option, the rackety double-deckers have been traversing these routes for over a century. 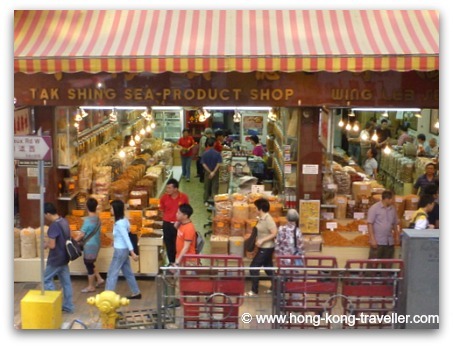 They have been very much a part of the Hong Kong landscape and culture and are beloved by the locals who still use them to carry on their daily routines... to get to work, go shopping, or to the races! Yes, there is a dedicated loop that brings you to the Happy Valley Horse Races. So riding on one of these relics will give you a very unique glimpse of every-day Hong Kong street life, as you are travelling literally close to the ground. The locals refer to them as the "Ding Ding", because of the constant noisy chiming along the way. 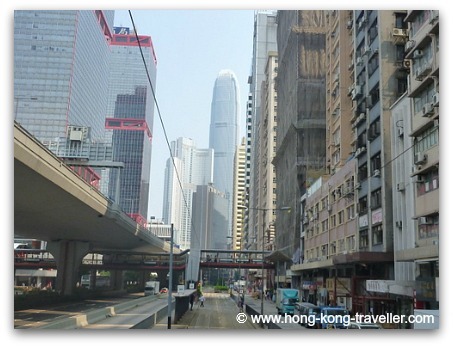 There are several routes, spanning from Kennedy Town on the West to Shau Kei Wan in the East with over 100 stops in between the 13 kilometer stretch. If you go along the route, you will not walk a block without a Ding Ding Tram stop. 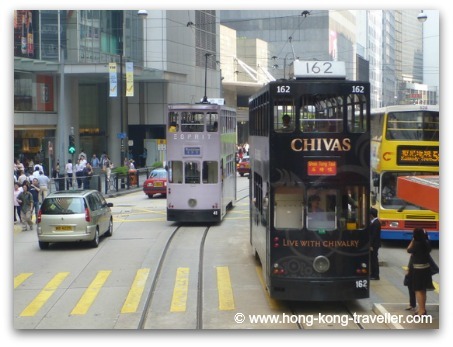 Hong Kong Trams come in handy for getting around the busy Hong Kong Island northern area. 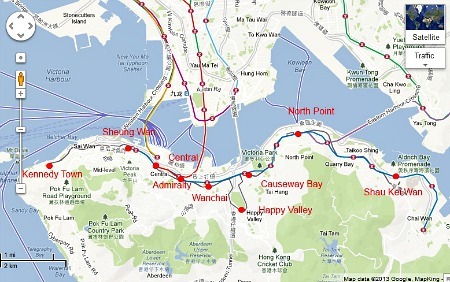 The different routes, altogether there are six that overlap each other, are convenient for exploring the busy districts in Hong Kong Island's northern shoreline. The roughly 8 mile stretch will take about an hour and a half to traverse from one end to the other. 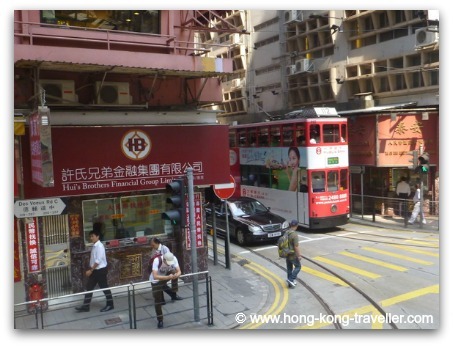 Although the most lively portions will be between Sheung Wan and North Point. If you are in a hurry, take the MTR, the Central line goes through an identical route and can whisk you in minutes. But of course riding the tram is more so for that unique peek into Hong Kong's authentic traditional and modern life, the trams take you through the old dry food and medicine markets, swanky shopping centers and arcades, the towering skyscrapers, ancient temples, antique galleries, neon-clad perky neighborhods and more. Single Fare for the Trams is HK2.30 regardless of where you get on or off. You pay when you exit the tram. 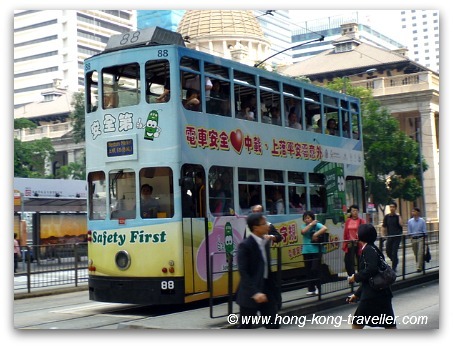 You can use your Octopus Card to ride the trams, which will save you having the exact change needed for each ride. 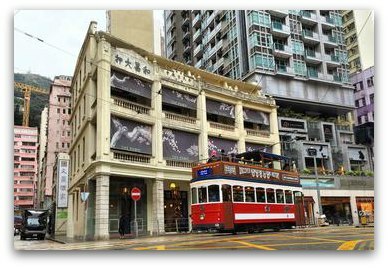 Trams go through the main areas in Hong Kong Island, and are ideal to use on a hop-on hop-off route combined with walks to explore on foot some of the most colorful and lively neighborhoods. See the Tramoramic Golden Ticket pass below. This is a fantastic deal! You first get oriented with a one-hour tour aboard a vintage open-top tramcar where you get to learn about all the landmarks along the way with the narrated commentary which has been put together by knowledgeable tour guides and historians. Then you get a Golden Ticket which allows you for unlimited travel on the trams for an additional two days. 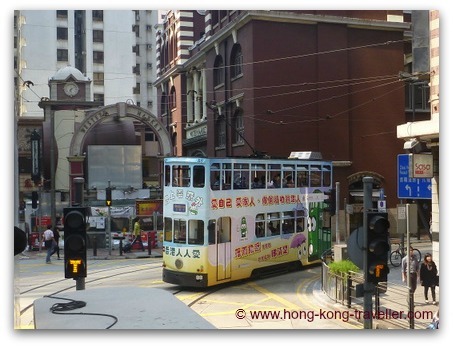 "The tram" as referred to by a local, normally means the ding ding trams, "the tram" as referred to by visitors, normally means the "Peak Tram" that brings you to Victoria Peak.